This piece first appeared on How To Win Scholarships. See the author’s bio and contact info below the post. 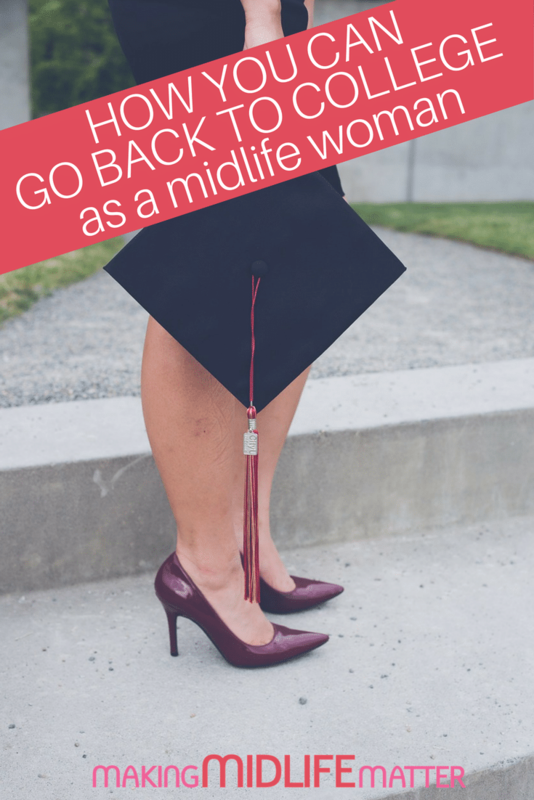 For many adults, the thought of going back to college in mid-life is a daunting, yet intriguing, idea. Sometimes the decision is spurred by the need to increase income because of situations such as divorce, death of a spouse, or an effort to help pay for the rising cost of college tuition for their children. Wondering how to start the college application process as an adult and finding the funds to help pay for the fees involved with going back to school can seem overwhelming. I recently had the pleasure of interviewing an adult student who has successfully navigated the waters of adult education and financial aid. If you are considering going to college as an adult, read through this interview. My hope is that as you see the experience through the eyes of a parent in a difficult situation, your misgivings and doubts about your own circumstances will be eased and you will gain strength to take that first step into higher education as an adult. Theresa went back to college in mid-life and was willing to share her thoughts and experiences in order to help other women considering the same path. She used the ideas and strategies in my college scholarship guide, originally as a mom to help her teenage daughter, and then for herself when she make the decision to go back to school. Thank you so much for sharing your experience with adult education, Theresa! What convinced you it was time to go back to college? When Michigan’s economy took a downturn in 2008, I was laid off from a company where I had worked 20 years and from where I thought I would retire. After working in a part-time capacity for three years, I accepted a new position having a full-time opportunity with paid benefits. Just short of my 90 days of employment, I was let go. Truly the position was not a good fit. Although the job description stated an administrative assistant opening, they were actually seeking a cost accountant. The very day I was let go, my previous part-time job was filled. Since there was no going back, I looked forward. 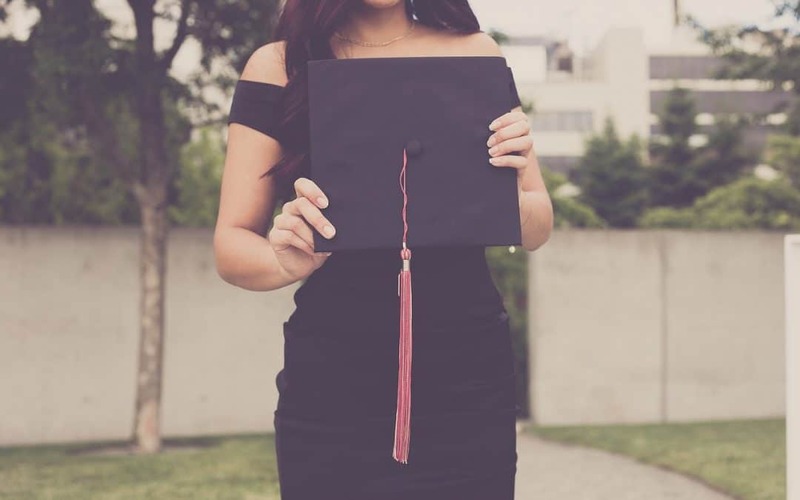 With the bleak job outlook opportunities for an individual with an associate’s degree, I decided to go back to college to get my bachelor’s degree. I was hoping to secure a full-time job with advancement opportunities to support myself and my children. How old were you and where were you in life when you decided to go back? At age 44 I made the decision to return to college. My children were aged 16 and 19 and I had recently become a single parent as a result of a divorce. What was the hardest part of the college application process? Did you have any help along the way? The college application process was easy. I met with the advisor at the college I hoped to attend to determine the best strategy. Did you apply for scholarships to help cover your college costs? Yes. Using the strategies in How to Win College Scholarships, I applied for and won several scholarships to help cover my college costs. Did you find a lot of scholarships for adults and if so, where did you find them? Finding scholarships for adult students was a bit more challenging than finding scholarships for my college aged daughter. Using your tips, I looked specifically for adult learner scholarships. I searched the college where I applied, my local community foundation; Google searched “adult learners”, kept a close eye on scholarship winners in my local paper, etc. I even checked out scholarship books from my library. What advice would you like to share with others hoping to find scholarships for adult students? Developing a scholarship resume was an extremely useful tool when asking for letters of recommendation. It was a concise reference for others to use to endorse me as a scholarship winner and that great tip was one of your suggestions that proved to be extremely valuable. Also, I believe it’s important to be a well-rounded student just as it’s important to be a well-rounded employee. I am a huge advocate of community involvement. I served as treasurer of a local literacy group throughout my college career. Also, keeping a high grade point average shows commitment to excellence. Most of all, approaching college funding with a positive attitude is helpful. I’d also like to share that I suggested to both my college aged daughter and her friend to ask the college where they attended if there were discretionary funds available. Discretionary funds terminology met with success. My daughter won $500. Her friend won $1,000. Learning how to ask for Discretionary funds was a direct result of applying your winning scholarship techniques. What was the biggest challenge you faced when going to college as an adult and what did you do about it? The biggest challenge I faced when returning to college as an adult was wondering if I could actually do it. I was a recently divorced mother of two teenage daughters having just lost her job. I prayed a lot to overcome the adversity. Then I decided to pursue excellence and I found scholarships for adult students. How has your decision impacted where you are in your career today? Having to return to school out of necessity, created me to be a life-long learner. I am now employed in a capacity where the latest trends in leadership development are taught. I am often given the opportunity to learn and I get paid to do so. Exciting! Truly I am thankful for the guidance I found in How to Win College Scholarships and the useful tips it provided. Thank you, Monica! Monica Matthews’ step-by-step scholarship guide has taught desperate students of all ages, win thousands of scholarship dollars. Find more info at how2winscholarships.com. Monica Matthews is the author of How to Win College Scholarships. She helped her own son win over $100,000 in scholarships and now shares her expertise with other parents and their students. She truly has “been there, done that” in regards to helping parents and students navigate the scholarship process. Ms. Matthews’ step-by-step scholarship guide has taught desperate parents to help their own students win thousands of scholarship dollars. Find her scholarship information at https://how2winscholarships.com.